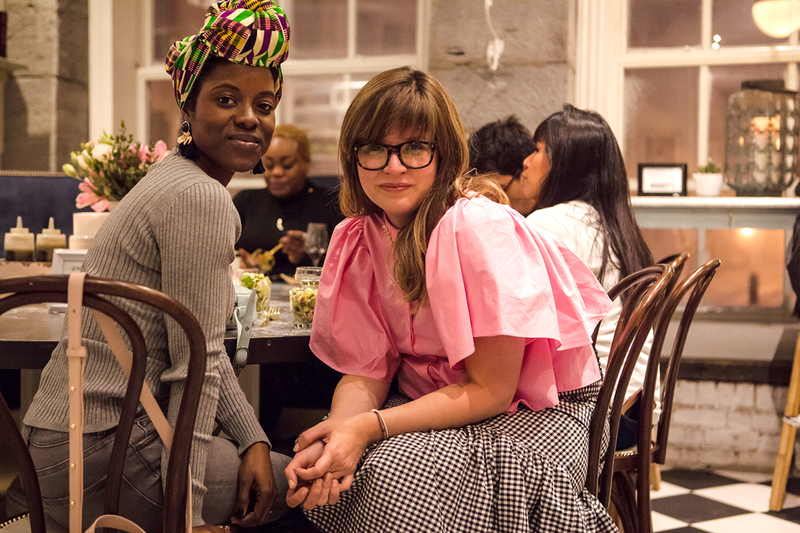 Have you ever wonder, if you can find a stunning spot where you can impress all your friends, have a scrumptious healthy meal and a neat service you'll simply come back over and over again just to try all the menu? 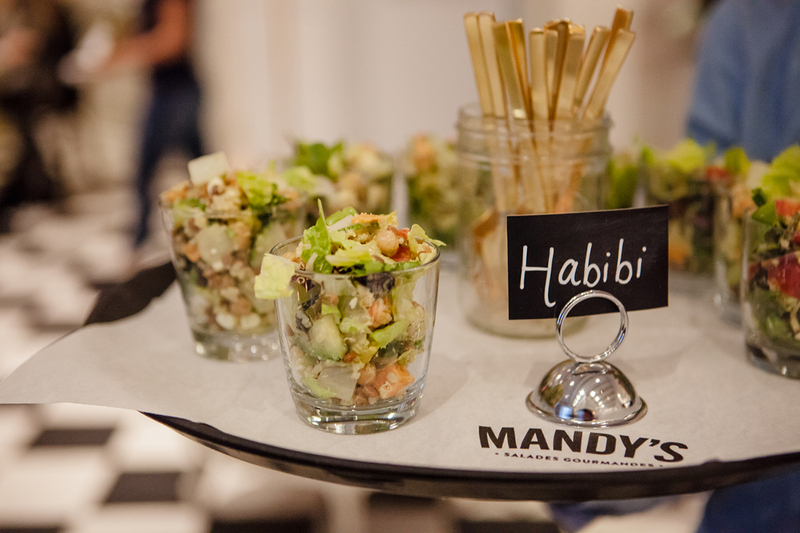 A few weekends ago, I found that lovely spot in the heart of Old Montreal with my girls, enjoying the newest gem in the area, Mandy's Salad Bar. Imagine a piece of Palm Springs heaven in the middle of a European flair, so charming you'd want to move in as soon as you step in. 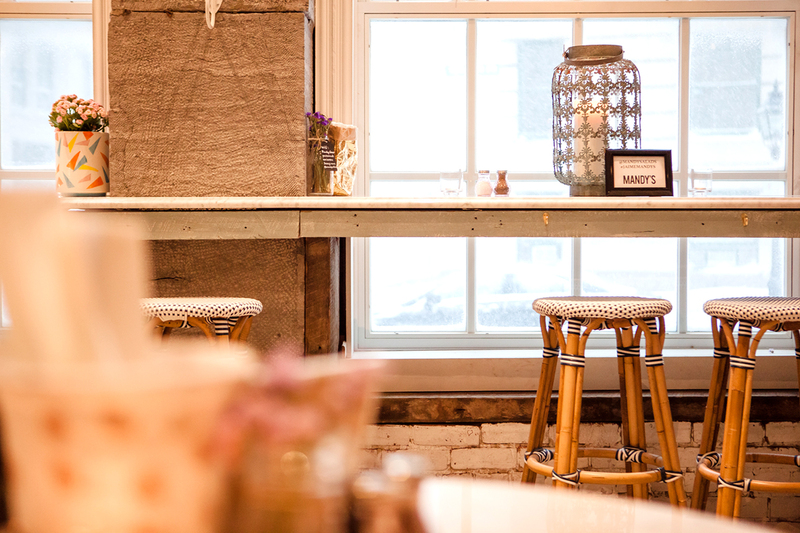 I have to confess, I've been a sucker for Mandy's for a few years now, so I couldn't hide my excitement about this new dreamy location. 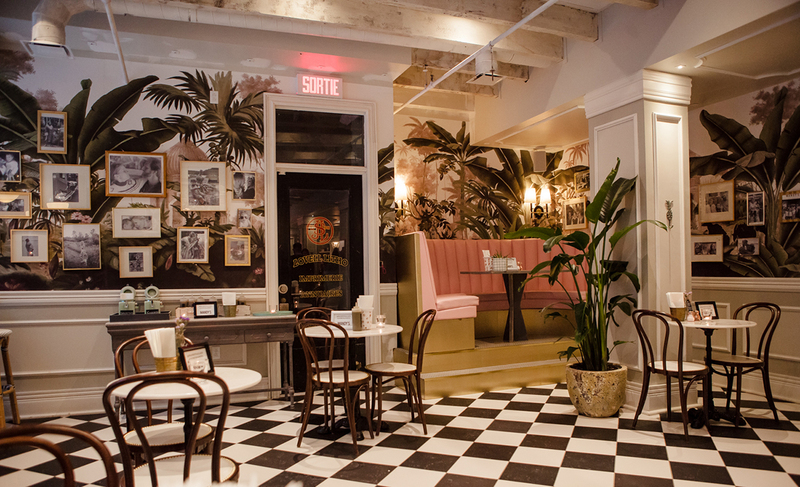 With an eclectic interior of black-and-white Parisian-tiled floors, handpicked chandeliers, a stunning pink sofa corner and the custom made palm tree with flamingo murals all over the space reminded us of the best tropical vibes and a total Instagram dream. This fourth location is the first one (hoooray!) to offer alcohol, including a curated list of wine, beer and bubbles, handpicked by the mastermind sommelier and Nora-Grey co-owner, Ryan Grey. 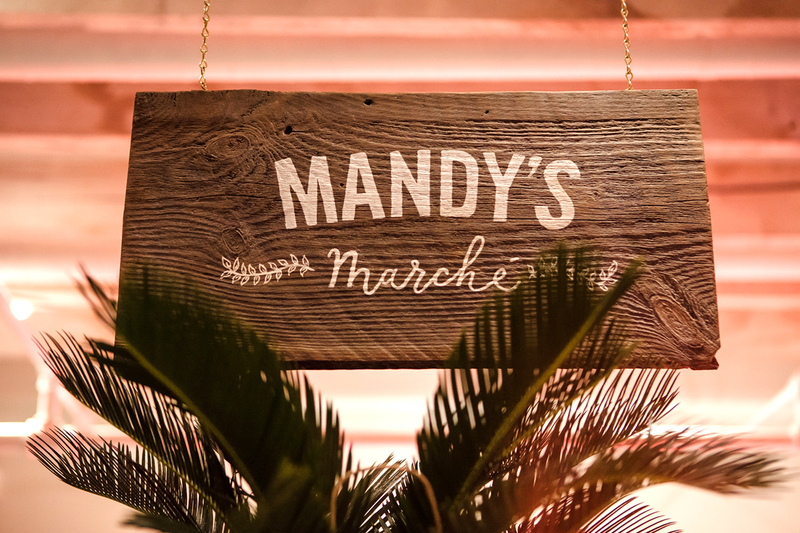 If you're into a refreshing homemade juice, just head to Mandy's striking bar, I totally recommend their signature classic Lemonade, it's just beyond refreshing. 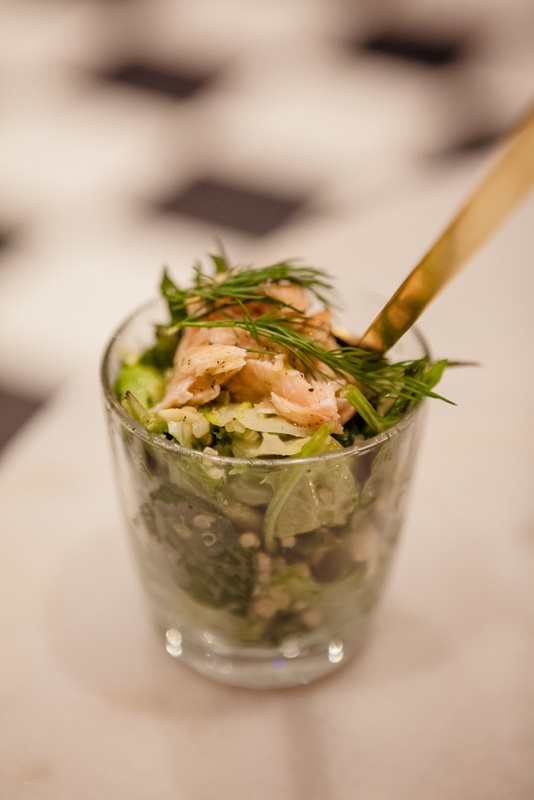 Old Port's menu has extended their classic salad options including a brand new grain-based dishes, don't miss any of the 4 options offered, as the Hippie bowl, served with a special tamari sauce and marinated tofu, avocado, sunflower seeds, carrots, black beans over a delish quinoa or brown rice, totally your choice. Warm barley with mixed wild mushrooms and herbs, fried shallots, grana padano cheese - SO good! Reservations: If you're a large group, call in advance to reserve a spot. Kids Friendly: Absolutely! It's a big space (75 seats) with a Terrace for our warmer days, so there's plenty of room for you, stroller and an overload of babies. I didn't see changing tables the first time I visited, I have to double check again for you. Take-out options: Foodora for all the Old Port locals! 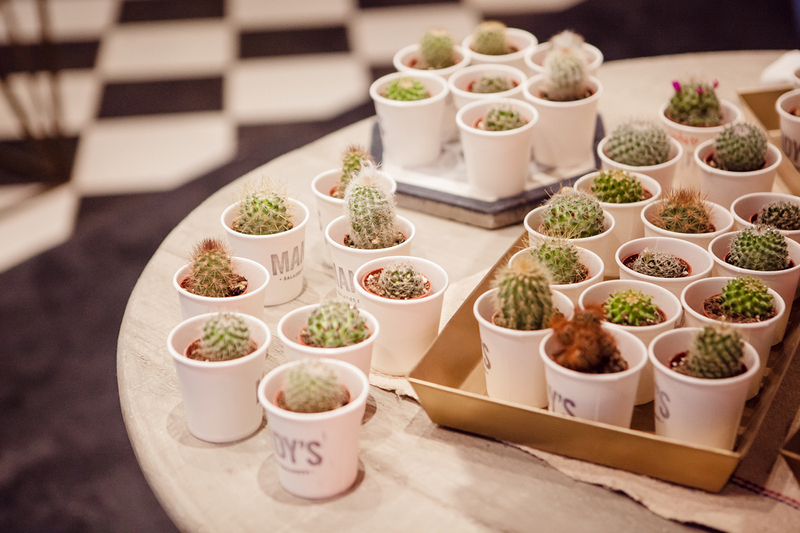 *Thanks to Mandy's and Sylvain Granier for some of the photos used in this post. This place looks like me. Let's add this one to our list please!!! Um, can I just move in here!! How rad is this place!? A pink and green salad bar, sign me up!!! Haha i searched for the supplement maca and now im here. But i read your Blog anyway now! :) Nice work!